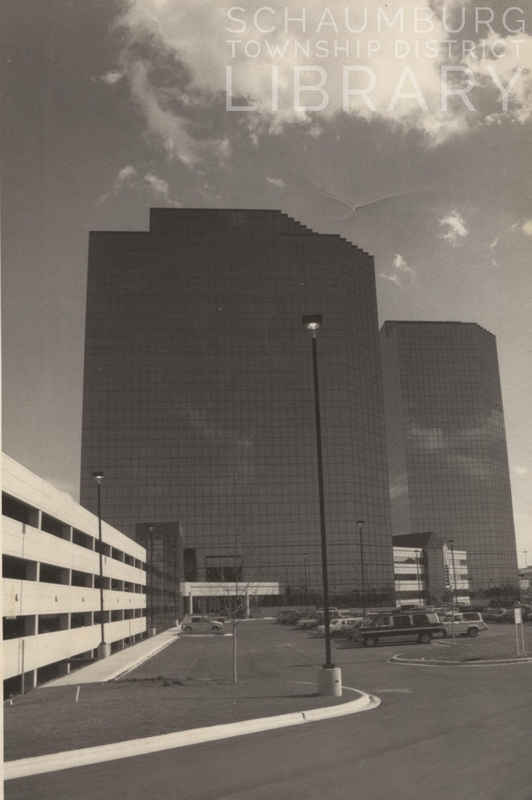 During Hoffman Estates’ 60th anniversary year of 2019, we will take a look back at the Hoffman Estates you’ve known for the last six decades. Every month there will be a posting on village happenings for each decade the village has been in existence. Maybe you remember some of the events and have something more to add to a few of the items? Send in your comments! The Hoffman Estates Fire Department and their 38 volunteer firemen celebrated the district’s first anniversary and made plans for a July 4 fund raising carnival. The district had one fire truck, a 750-gallon pumper built by Ward-La France and had recently purchased a used ambulance to carry people to hospitals in Elgin. Photos and a written description of the house at 314 Westview owned by the Carl Rauchenberger family, appeared in the April 18th issue of the Chicago Tribune as a way to introduce the public to some of the homes being built by F&S Construction. Their home featured 3 bedrooms, 1 full bathroom, a powder/laundry room, a family room and a living/dining room. Outside features were a patio and a carport. Mr. Rauchenberger, who was an architect, also planned to add a rec room onto the house. The village approved a recommendation to install a $700,000 sewer system that would run along Golf Road from Barrington to Higgins Road. From there it would run southeast along Higgins Road and connect with the metropolitan sanitary’s district Des Plaines intercepter two blocks west of Plum Grove Road. The sewer would be oversized to accomodate businesses that would be building in the community. Hoffman Estates led the northwest suburbs in the month of February in both apartment and home building permits. There were 425 apartment unit permits issued and 80 home permits. The next closest in apartment units was Buffalo Grove with a mere 160! Pete of Pete’s Barber Shop was back at the SW corner of Higgins and Roselle Road and advertising all European and American haircuts, hair styling, razor cuts and toupe sales and service. Suburban Medical Center, soon to open, was looking for managers for the following departments: laboratory, pharmacy, cardio-pulmonary, dietary, housekeeping, physical therapy, medical records, social services, patient accounts, data processing and volunteers. They wanted applicants to have 2-5 years of supervisory experience. The interim office was located at 1701 E. Woodfield Road in Schaumburg. Mobile classrooms at various District 54 schools, including Twinbrook in Hoffman Estates, were approved for sale by the school district. The minimum sale price was $2500. Golf Paint Glass & Wallpaper in the Golf Rose Shopping Center was having a paint sale of $3 off of interior paint. They also offered picture framing, artist’s supplies and mirrors for sale. Trustees voted for another 3 year contract with Browning-Ferris as their garbage hauler. This continued an association that had been ongoing since 1966. Three young women–two from Hoffman Estates and one from Elk Grove Village–will compete for the title of Miss Hoffman Estates 1989 at Eisenhower Junior High School. The new Miss Hoffman Estates will reign over the village’s Fourth of July festival. The Hoffman Estates Park District Board approved contracts with Turner Construction Co. of Chicago, to build the Prairie Stone Community Recreation Center. This month, village officials officially designated the retail center along Roselle Road, near Golf and Higgins, a business district, in a move that allows them to apply for state and federal loans for land improvements or to acquire buildings if necessary. At the time, the center included Hoffman Plaza that had a Jewel, Golf Center that had an empty Minnesota Fabrics store and the large brown, brick building behind Zippy’s (that now holds Valli’s and is shown in the photo above). The Hoffman Estates Chamber of Commerce was planning their Fish Derby in June that attracted around 2000 participants annually. The Jaycees were offering two $500 scholarships to high school seniors who lived in Hoffman Estates and were well-rounded individuals with merit who gave back to their school. They were looking for future leaders and service-minded people who would give back to their community. In celebration of the village’s 50th anniversary, the village held Tartan Day, devoted to a Scottish theme. The day kicked off with a parade on Hassell Road followed by the “Celebration of Nations” at the Village Hall and ended at the Sears Centre Arena with the Heartland International Tattoo Music and Dance Festival. We begin another year. How quickly time goes by. This is a special year for our village. 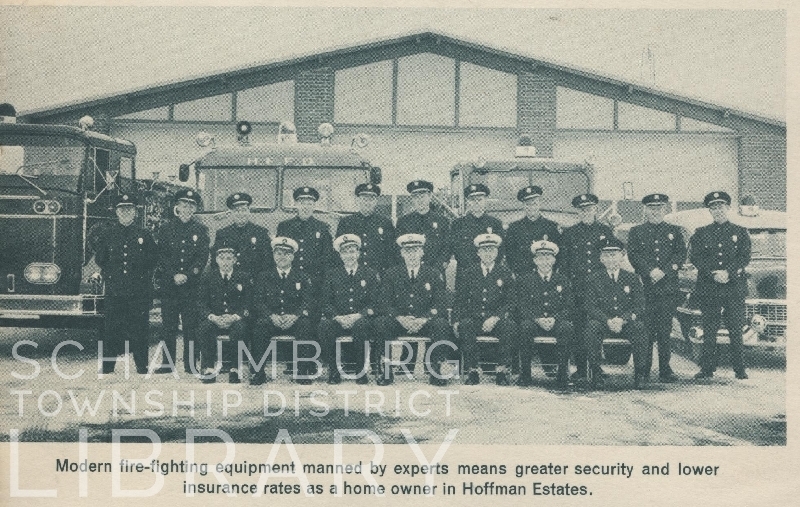 We celebrate 60 years as the Village of Hoffman Estates. As Historian, I’ve always marveled at the strength and determination of those who first moved here from the city for the opportunity to buy an affordable home for their family. The homes in the first development by F & S Construction, called Parcel A, are more than 60 years old as the first homes were built in 1955-56 and are now 64 years old. Many have changed. They’ve been upgraded and added on to. Some have been torn down and replaced with much larger homes that suit the ½ acre lots. The area still has that rural feel to it. Life was so different then. 1959 was a year that introduced so many more “modern conveniences”. With new homes to furnish, I can imagine that many of the women wanted to upgrade the kitchen to include a dishwasher, a larger cook stove, and maybe one of the new larger screen TVs for the living room. Everyone loved to watch The Danny Thomas Show, Father Knows Best or for the western fans, Wagon Train or Gunsmoke. Back then TV was your evening entertainment along with a nice big bowl of popcorn. 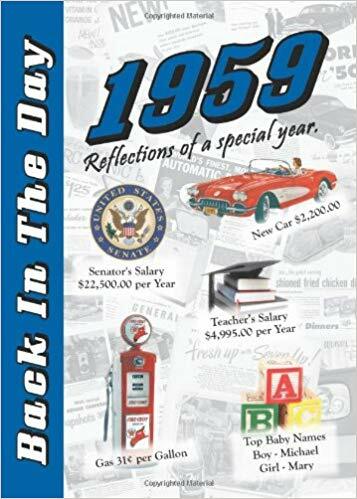 I found a small book titled Back In The Day: 1959, Reflections of a Special Year. It had all the information about what was going on in 1959. Here’s some trivia that you can share. The overall average income was $5,417.00. Clerical work paid $3,782.00 but construction work paid $5,637.00. With all the surrounding suburbs developing along with us, construction workers would’ve been in demand. Do you remember who was president? Dwight David (Ike) Eisenhower was our President and Richard Milhous Nixon was his Vice President. The President’s salary was $100,000.00 per year. The Vice President’s salary was $35,000.00. With the promise of postage going up to .55 cents this year, back in 1959 it was nice to only pay 4 cents for a stamp. In 2019 we pay bills on line and communicate with e-mail or texting. No need for a stamp. Going to the movies in 1959 only cost you .51 cents for a ticket. Groceries prices seem cheap compared to today’s prices, but we have to remember how small our salaries were back then. Bacon .67 cents a pound, milk was $1.01 a gallon, bread .20 cents a loaf, butter cost .75 cents a pound and coffee was .78 cents a pound. Many of us had a pot of coffee on the stove all day, either in a percolator or a drip pot. There was no Starbucks back then. No Keurig coffee makers. I would always waste so much coffee by making more than I’d drink in one day. This was the year that Maxwell House introduced the “Good to the last drop” advertising campaign. When the first incorporation vote was held on January 17, 1959, around 2310 voters in about 1800 homes were registered. Voting was held at three schools: Twinbrook, Fairview and Hoffman. The proposal was defeated in a vote of 1062 to 843. A plane owned by Ray Beaumont of Streamwood was forced to make an emergency landing on Charles Beranek’s Merry Hill Farm on the northeast corner of Golf and Plum Grove Roads. After technicians worked on it, the plane was eventually able to fly off of its own accord. Work was progressing on the shopping center at the northeast corner of Higgins and Roselle (Hoffman Plaza.) F & S Construction began the development in September 1958 and was expected to complete it in the spring. The photo in the paper showed the bones of the Jewel store, including the arch of the entrance. The Winston Knolls subdivision at Ela and Algonquin Roads opened for development on the second weekend of the month. The development was 350 acres and the intent was to build five different models, eventually building out at 770 homes. The Hoffman Rosner Corporation donated land to District 54 for a new school to be built at 151 Kingsdale Road in the High Point subdivision. The new school was not built on this site but was eventually constructed at 1320 Kingsdale Road and was named Neil Armstrong Elementary School. A developer proposed the construction of a second savings and loan in the village at the corner of Governor’s Lane and Higgins Road. At the time the only savings and loan in the village was Lincoln Federal Savings and Loan on Gannon Drive. 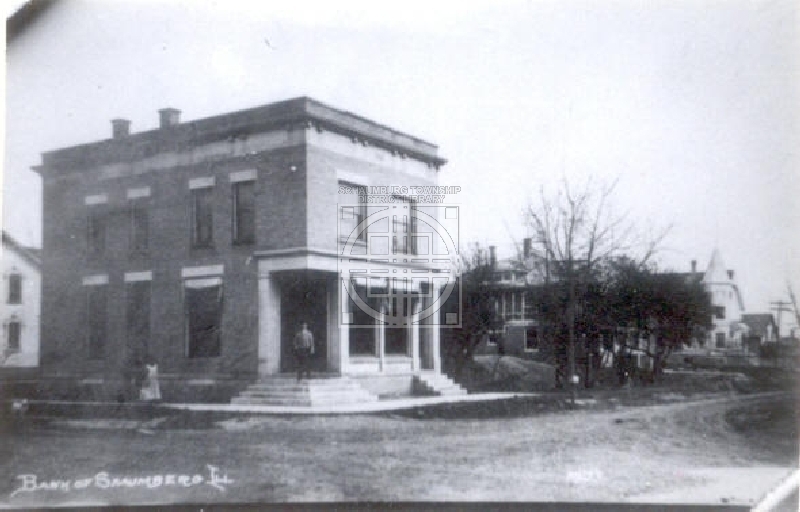 The only bank was Suburban Bank on Roselle Road. Otis Associates, who designed the Hoffman Estates Village Hall on Gannon Drive, won the bid to design the $800,000 recreational building on Algonquin Road that would become the Willow Recreation Center. The Deli-Cafe in the Golf Rose Shopping Center closed on January 29. Mike Ernst bought the restaurant in 1977 and expanded it by including lunch and dinner menus. It was two doors north of Service Merchandise and was replaced by an Off The Rack clothing store. The Police Department announced they would be purchasing six new Chevrolet Caprice squad cars to replace those in their fleet not worth maintaining. Highland Super Stores on Roselle Road between Higgins and Golf announced an overstocked sale of TVs, stereos, washers, camcorders and other electronic items and appliances. Free “car deck installation” was offered with the purchase of a car stereo. The village announced their slate of activities for the 30th anniversary party. Activities included a Great Ideas contest where participants would submit suggestions for improvements in the village, a trivia contest where the winner would receive either a $300 TV or VCR, a Fishing Derby at South Ridge Pond and a Mystery Dinner in the Grand Court at Woodfield Mall. The Hoffman Estates Medical Center on Barrington Road held a blood drive on January 29 from 9-4. Each person who donated received a fanny pack and was entered into a drawing to win one of two $50 gift certificates to the Mill Rose Brewing Company in South Barrington. Conant High School dedicated their gymnasium to William Perry who was principal of the school from 1977 to 1994. The reopening of the golf dome at the Poplar Creek Country Club began to draw people in January after the Hoffman Estates Park District purchased it in the fall and revamped it to include simulated sand traps, water hazards and other amenities. The village held its seventh annual Martin Luther King community breakfast on January 19. Vanessa Meeks and the Sears Holding Associate Gospel Choir performed at the breakfast. Hoffman Estates High School received the okay to install artificial turf on their athletic playing fields for school year 2009-10. The work at the school was complicated because of the existing drainage system. The Illinois Department of Natural Resources honored Plum Grove Printers of Stonington Avenue for its achievements in protecting the environment and boosting the economy. They instituted a 20-point program to reduce waste and increase sustainability through each step of their process. Our guest contributor this week is Pat Barch, the Hoffman Estates Historian. This column originally appeared in the November 2018 issue of the Hoffman Estates Citizen, the village’s newsletter. The column appears here, courtesy of the Village of Hoffman Estates. 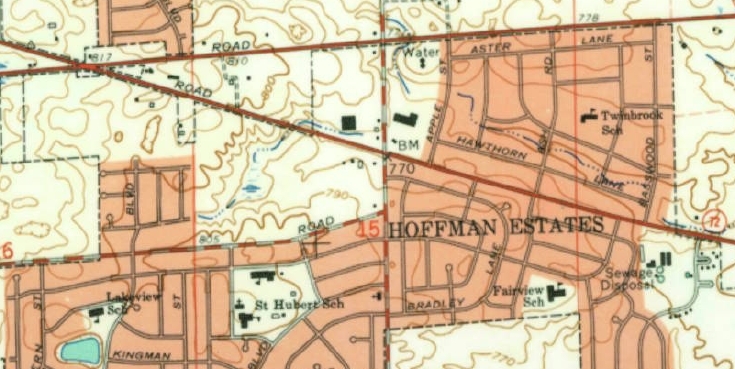 I’ve started the first column on the history of Hoffman Estates to honor our village’s 60th anniversary of incorporation that occurred on September 23, 1959. I’ll try and tell our history each month during this 60th anniversary year. This entire area was farm land. So many settlers came here because life in other countries was torn by war, famine and general unrest. In the 1840s the government sent surveyors to map out the territory, describing the number of rivers, forest land, swamps and streams on each acre they surveyed. Land was being sold for $1.25 an acre. The promise of good farm land drew the new settlers to this area. 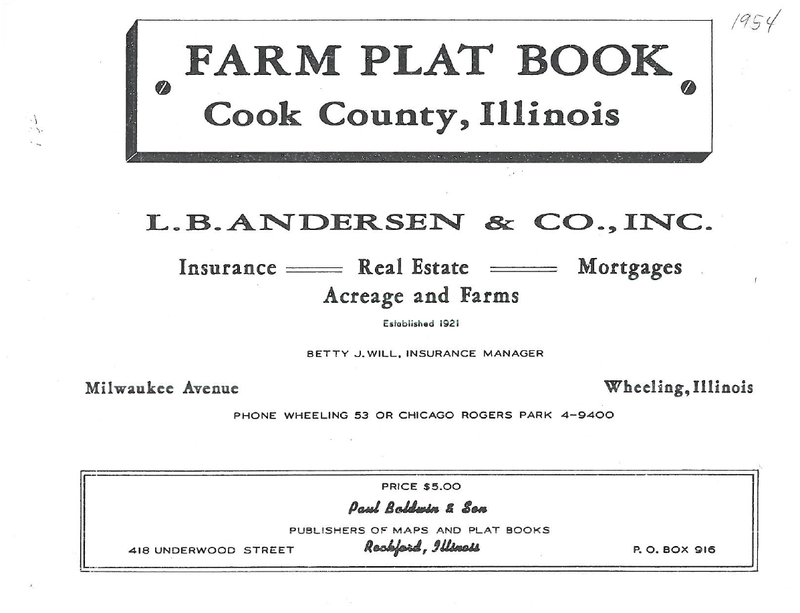 The old plat maps of Cook County from 1942 and 1954 show the townships that made up Cook County and the names of the landowners in each township. 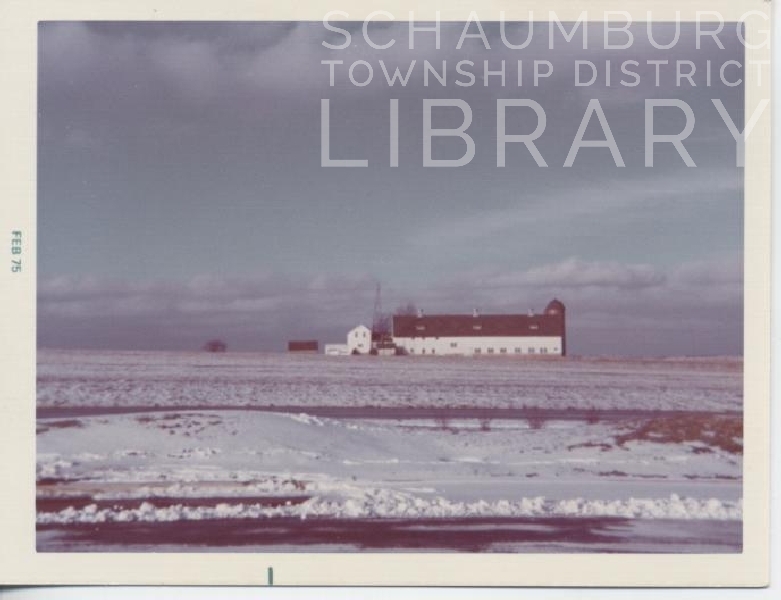 As you look at the plat maps, of Schaumburg Township, you can’t help but notice the same family name on other farms in the area. Many times the first families to arrive wrote back to family & friends telling of the good farming conditions and encouraging them to come and start a new life in America. The earliest settlers to this area came from the east coast. 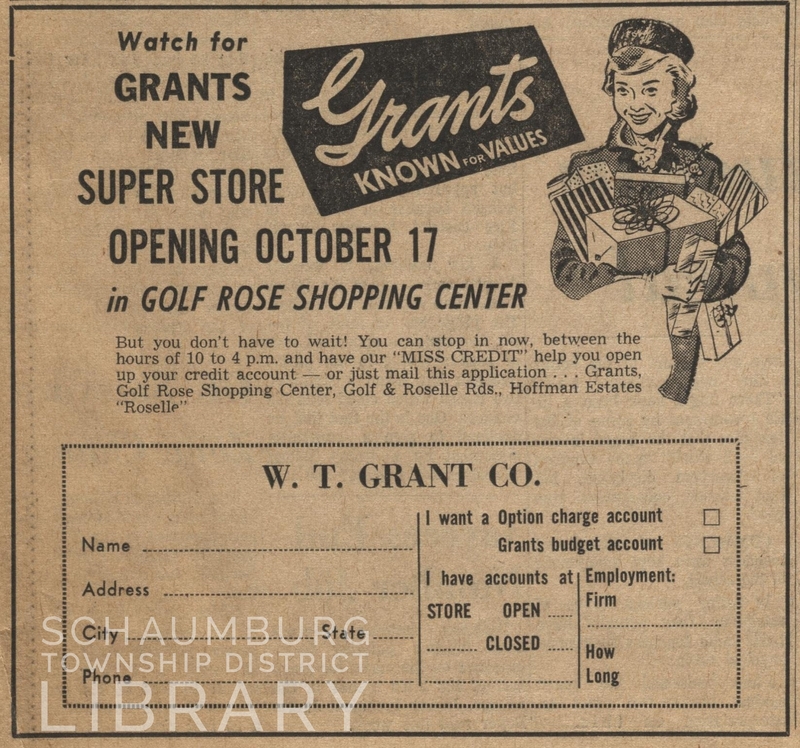 A large number of Germans, many encouraged by friends and family, also settled in Schaumburg Township. German became the predominant language of the area and others who did not speak German moved on to farm land to the west. With the end of World War II came a demand for housing for the returning service men. F & S Construction had been building homes in Arizona. They wanted to create a community of homes for the families of the service men that would be well built and affordable. Looking for new areas to develop, F & S Construction found an area in Schaumburg Township that was very suitable for their next development. The area had the promise of being very successful with a tollway under construction, O’Hara Airport nearby and a willingness of the farmers to sell their farms, they had found an ideal location for their next project. 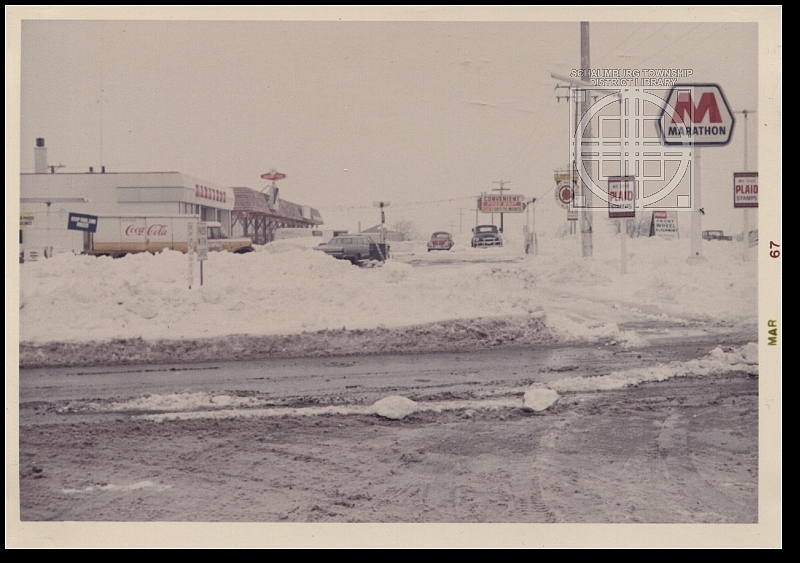 In 1954 F & S Construction purchased 160 acres of land east of Roselle Road between Golf and Higgins Roads. An additional 600 acres were added with the purchase of the Hammerstein farm. 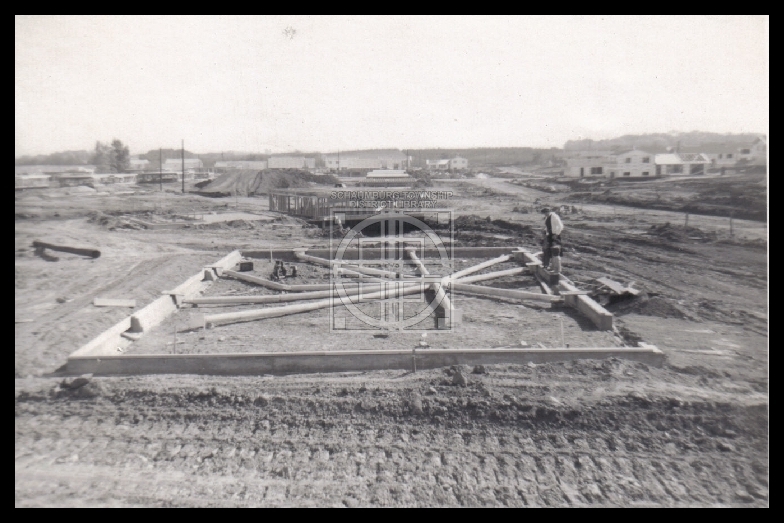 This was the beginning of F & S Construction’s plan for a new community that would become Hoffman Estates. Our guest contributor this week is Pat Barch, the Hoffman Estates Historian. This column originally appeared in the September 2018 issue of the Hoffman Estates Citizen, the village’s newsletter. The column appears here, courtesy of the Village of Hoffman Estates. This is our anniversary month. On September 23 it will be our 59th year as the Village of Hoffman Estates. We’ll set off on our 60 anniversary year with fun activities beginning in January. 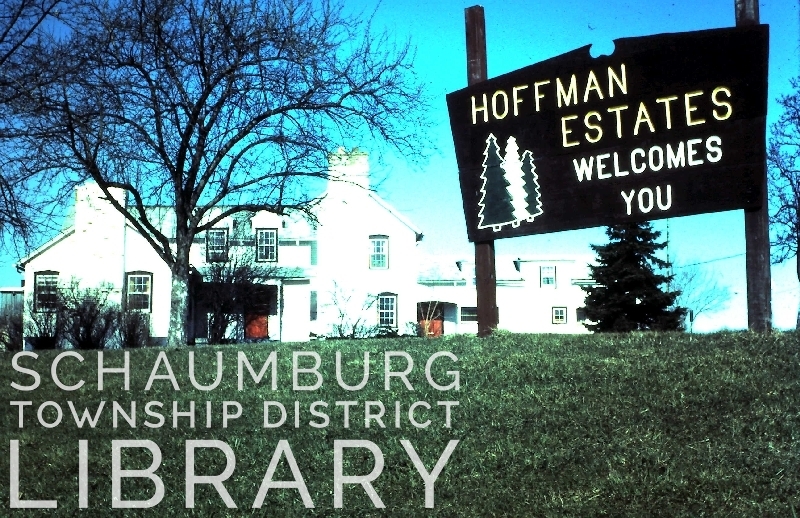 Last month I asked those who have lived here since the beginning of Hoffman Estates, 1955-1965 to contact us so we can honor you and save the wonderful stories you have to tell about the good old days. Any photos you may want to share would be wonderful to save as part of our history. One of our early residents, Alice Selke, just celebrated her 100th birthday in July. She’s someone very special because she was married to our first fire chief, Carl Selke. As wonderful as Carl was as our fire chief, she had her own wonderful qualities. Alice’s job was to man the fire alarm calls. Early on, we had a volunteer fire department. Alice would send out the alarm to all the men and they’d jump into action immediately. She’s told the story about how her cat accidently set off the alarm by walking across the alarm button. She quickly had to send out a call saying that everything was OK , it was just the cat. Because she was always home with her job of monitoring the alarm system, neighbors would frequently ask her if she could baby sit for them while they went grocery shopping. The moms knew she was always there. Some of the kids were very well behaved but she told of how some were wild children who never seemed to behave. This is an example of the kind of stories we’re looking for. When I hear these stories I realize how different life was for those who first moved into their homes in Parcel A, B & C.
Please consider sharing some of those old photos that are in shoe boxes, envelopes and photo albums. It’s easy to scan them and return the originals to you. What people have shared with us has become the heart of those early years. It’s hard to believe that we’ll be celebrating our 60th anniversary in 2019. In its first year, the village operated for a time without any type of tax revenue. They depended on tavern licenses and building permits to fill their coffers. Four families held a large white elephant sale at the home of one of the families–the Breyers. Their farm was on the south side of the road, 1 1/2 miles west of Roselle Road, across from today’s Schaumburg High School. Other families involved were the Meginnises, the Schuberts and the Mathews. Items for sale were: horse sleigh, feather comforters, cedar fence post, size 42 short tuxedo, and an apartment size electric washer to name a few. According to Bell Savings and Loan Association who tracked building permits, Schaumburg led all northwest suburbs in home building in August with a total of 87 permits being issued. The dollar value of those permits was $1,795,816. Trustees approved a tree-replacement program at a cost of $1850. After losing many Dutch elm trees due to the fungus that attacked the trees nationwide, it was decided to contract with Klehm Nurseries to supply up to 74 new hardwood trees. It was announced on the last day of the month that the starting time for the Secretary of State driver testing station was being postponed due to a delay in the furniture. This long-awaited facility was scheduled to open in the Woodfield Commons Shopping Center–where it still is today. It was chosen for its central location and its proximity to various roadways. After multiple accidents at Springinsguth Road and Weathersfield Way, the Cook County Highway Department reversed its decision and agreed to install stop signs at the busy intersection. With the gubernatorial election approaching, both candidates took part in Septemberfest festivities. Governor Dan Walker walked with Village President Ray Kessell at the front of the parade while Republican candidate, James R. Thompson, rode with Kessell to Robert O. Atcher Park where the festival took place. It was announced that Minneapolis-based chain restaurant Leann Chin’s would be opening a venue in Woodfield Mall in the upcoming months. Carryout operations only were scheduled to open in Chicago and Oak Brook but Woodfield would have the first sit-down restaurant. PACE’s Northwest Transportation Center near One Schaumburg Place found its parking lot filled to overflowing for the first time on Sunday, September 15. The Super Bear Shuttle had proved to be a convenient way for fans to get to Soldier Field without the hassle of driving and parking near the stadium. The Public Safety Committee made the recommendation that the village’s police headquarters on Schaumburg Road be renamed the Martin J. Conroy Center in honor of Schaumburg’s first police chief who died earlier in the summer. The Woodfield Athletic Club at 1416 N. Payne Road was home to one of the area’s longest-running Mixed Doubles Tennis Leagues. In September 2016 this facility is Schaumburg Tennis Plus, owned by the Schaumburg Park District. Services were held for Elmer Rohlwing, grandson of John Rohlwing, who Rohlwing Road is named for. Elmer was born on the Rohlwing farm that was on the east side of Route 53, across from Woodfield Mall. 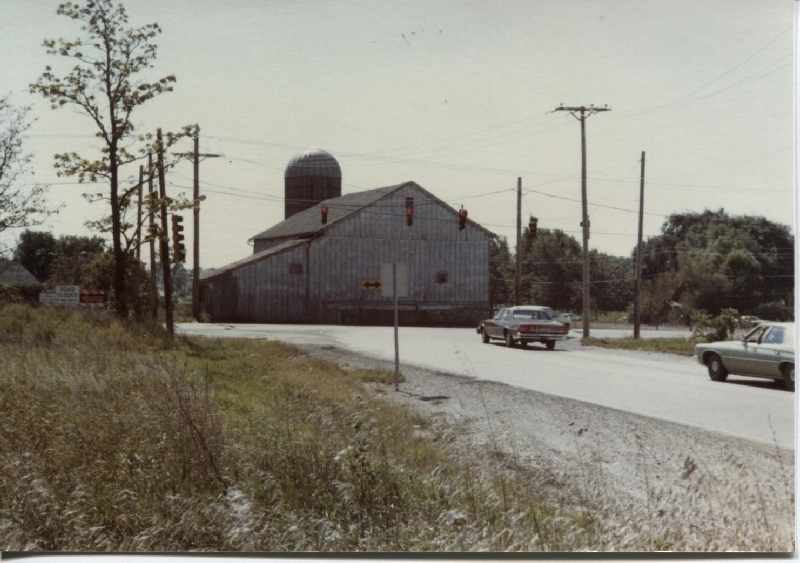 Their family’s large, white barn (shown to the right) remained on the property for many years and served as a maintenance location for the Cook County Forest Preserve District. Macy’s opened their store at Woodfield on Saturday, September 6, after their parent, Federated Department Stores, chose to abandon the Marshall Field name in order to create a coast-to-coast name for the stores. Ted’s Montana Grill opened at 930 Meacham Road. It was their second restaurant in the area and is where White Chocolate is today. A notice in the Daily Herald announced that there would be a German service held at 9 a.m. and an English service at 10:15 a.m. at St. Peter Lutheran Church. The English service could be heard on WRMN, Elgin and on The Lutheran Hour at 12:30 on WMAQ. An article on Ellsworth Meineke detailed his love for bees and the honey they produce. His shop and house had only been on Golf Road for a couple of years at this point, having moved from an earlier location on Higgins Road in the Busse Woods Forest Preserve in Elk Grove Village. 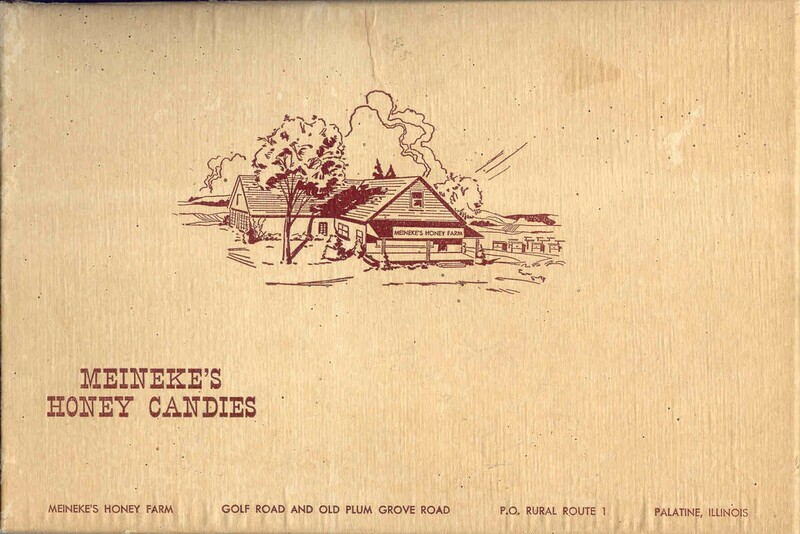 Mr. Meineke was known locally for his honey candy. In the “Down On the Farm” column by Carl F. Mees in the Daily Herald, he mentions that he talked with a number of local farmers, including Emil Freise, Faustin Zeller, Wilmer Rohlwing, Emil Pfingsten and Xavier Schmid, who had all reported excellent wheat yields for the summer. He had also talked to Herman Volkening who was experimenting with growing maize in addition to corn. It was his second year and the yield was very high. 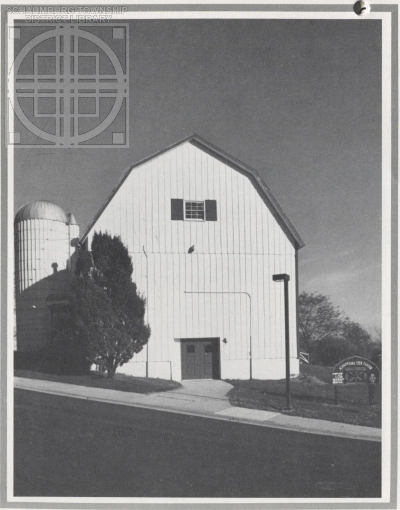 An article discussing The Barn property noted that court is held in the former hay loft, the police department is on the ground floor and other municipal offices are in various buildings on the former Jennings farm. Mayor Atcher mentioned that he hoped to move village offices closer to Schaumburg and Roselle Roads in about three years. Motorola Inc. launched its first phase of a new office, engineering and manufacturing plant. The building on the 326 acre site was scheduled for occupancy in January 1967. Permission was received from the Village Board for the Schaumburg Jaycees to begin painting house numbers on the curbs for each home in the village. Work would be done on the weekends until the job was finished. Eugene Matanky, a local developer, hoped to reach a compromise with the village on his proposal to develop the Sarah’s Grove property into 64 six-flat apartment buildings. The property was on Schaumburg Road, approximately 1/4 west of Roselle Road. 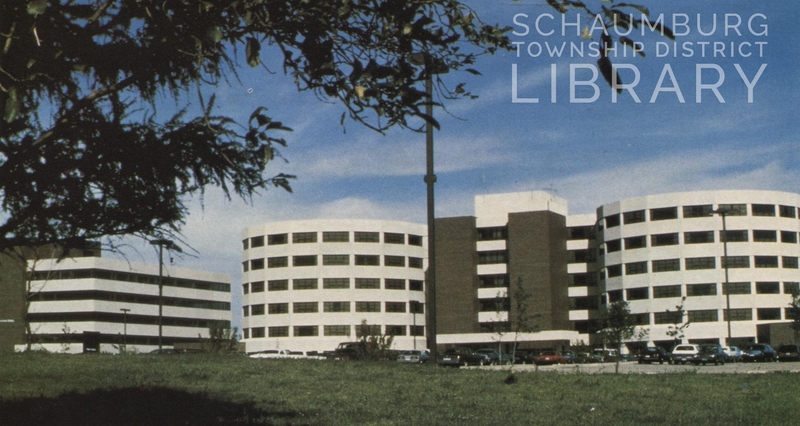 A program on Citizens’ Band radio was being held at the Schaumburg Township District Library. The 55-acre Paul Rosenwinkel farm on the northwest corner of Roselle Road and Weathersfield Way was sold to the First State Bank and Trust Company of Franklin Park and developer R. L. Roth of Elmhurst. Roth had obtained the appropriate zoning in 1975 for the future Farmgate subdivision, which would include townhouses, condominiums and a shopping center. Dennis K. Connelly of Connelly and King Inc. of Schaumburg, represented Mr. Rosenwinkel. The United Way of Schaumburg-Hoffman Estates celebrated its 20th anniversary. 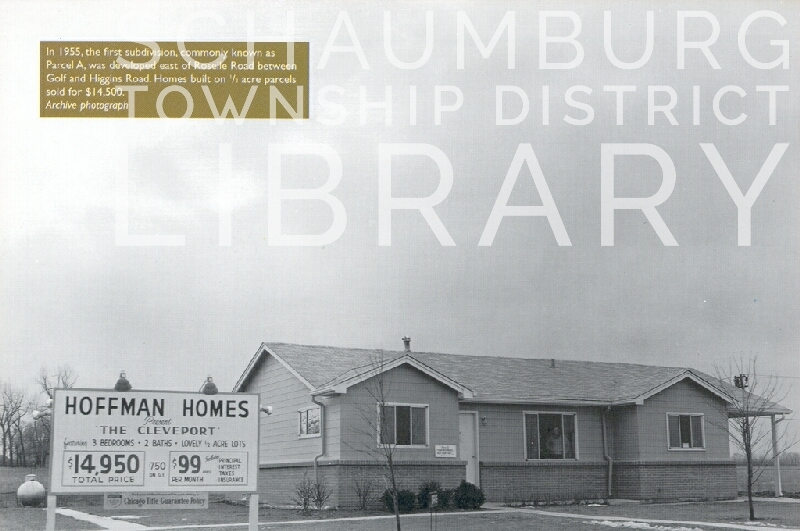 Originally founded on August 2, 1966 as Schaumburg Township Community Fund, Inc., the group distributed over $2 million in the 20-year span to local organizations that provided human care services to those in need. Consideration was being given to hiring a consultant to give direction on redeveloping portions of Schaumburg’s Town Square. A plan was also being put together to redevelop the Quindel/Lengel area southeast of the intersection of Schaumburg and Roselle Road into a pedestrian mall. Lengel Drive at the time was an unpaved road. 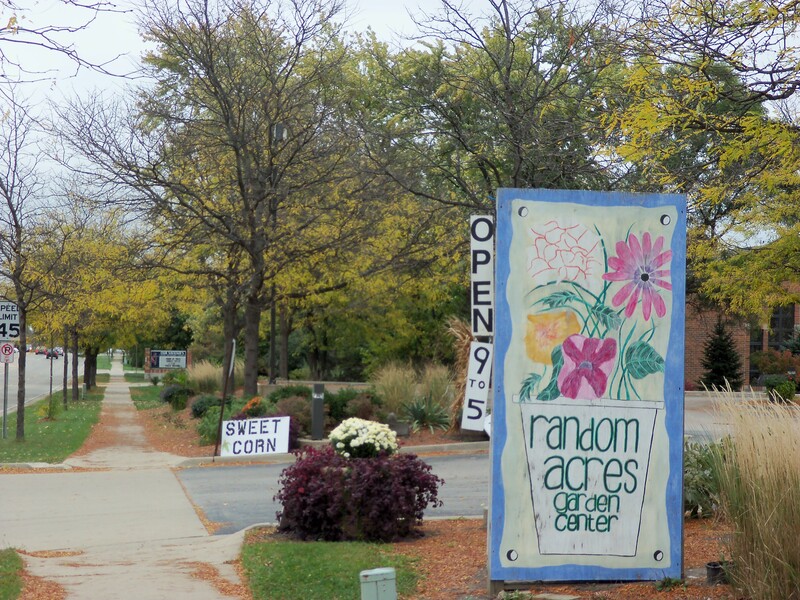 Random Acres Farm Stand, on Schaumburg Road west of Plum Grove Road, was selling Super sweet corn, cucumbers, peppers, cantaloupe, zucchini and more. Their home grown tomatoes were .79 a pound. They were open seven days a week from 10-7. Miss Molly’s of Schaumburg, a Danish bakery at 1407 W. Schaumburg Road, had been open for six years. The specialty was the kringle, a flaky coffeecake pastry with layers of butter rolled into it. 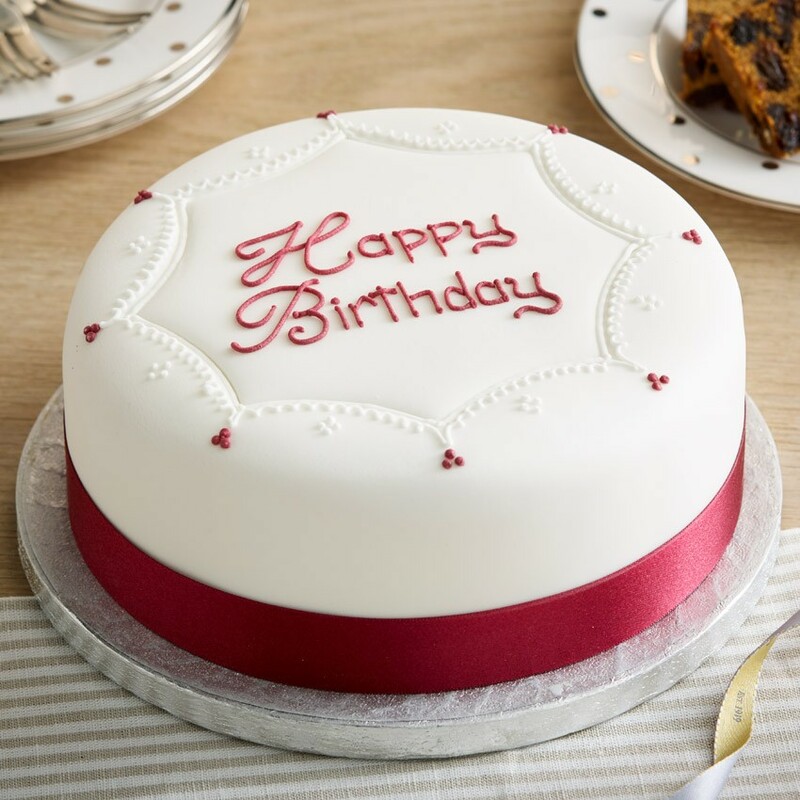 They also sold bakery items such as breads, cookies, doughnuts and eclairs but their other specialty was cakes designed and made in house. A fundraiser at the soon-to-open Roosevelt University successfully raised more than $300,000, allowing the school to meet its $5 million building-fund goal a few months early. The first classes at the Albert A. Robin campus were scheduled to open August 26. Drivers who park at the Schaumburg train station incurred their first increase in fees since the station opened in 1981. Daily fees went from .75 to 1.00. The increase was necessary to fund new parking lot improvements, creating more reserved parking spaces and adding additional landscaping. Medieval Times was the location for a twenty-first century event when they sponsored an area audition for the popular game show, “Who Wants To Be A Millionaire?” Nearly 2500 people showed up to try out. 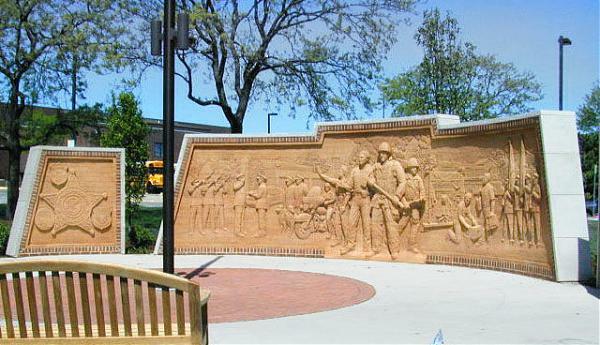 The village announced that, as part of their 50th anniversary celebration, they would be erecting a new public safety memorial to honor the men and women who work to keep the village safe from crime and disaster. The memorial was to be built on the site of the village’s police station and newest fire station. The Schaumburg Park District announced they would now be including a 2 1/2 hour preschool class on Tuesdays and Thursdays that would incorporate the Polish language and culture into the curriculum. This followed on the successful model of a Japanese class that had been offered the prior year. The Schaumburg Transportation Company on Roselle Road appealed to the Illinois Commerce Commission for a temporary permit to establish a bus route between Roselle and Palatine, via Hoffman Estates and Schaumburg. The plan was to have morning and afternoon buses that would accommodate passengers on the Milwaukee Road line in Roselle and the Chicago and Northwestern line in Palatine. Another petition was filed with Cook County to rezone a 38-acre parcel of land from agricultural to industrial. The parcel was on the west side of Rodenburg Road, north of the Milwaukee Road line. The farm was owned by Marvin A. Anderson and the intention was to develop a ready-mix, concrete plant to occupy a portion of the property. School District 54 began placing ads in the local papers advertising for new teachers. Superintendent Robert Flum had already signed three new teachers for the 8 room school house on Schaumburg Road–two of them through the classified ads. To encourage application, he even gave his home phone number to the paper so that any potential candidates could contact him more easily. On July 23, a benefit called The Shindig was held to raise money for the Schaumburg Volunteer Fire Department. For the second year in a row, the event was held on the parking lot of the Weathersfield Commons Shopping Center. A square dance, called by Bob Kim of the Plaids and Calico dance club of Hoffman Estates, was a highlight of the Shindig with records being played during intermission. Sandwiches and drinks were also sold. Five local organizations, including the Weathersfield Homeowners Association, Junior Woman’s Club, the Moose, the Jaycees, and the Lions Club all participated in the gala. The year before had seen 2000 people attend. The new $40,000 fire station opened to the public on July 7. The station was located just east of the Weathersfield Commons Shopping Center and was under the auspices of the Roselle Fire Protection District. 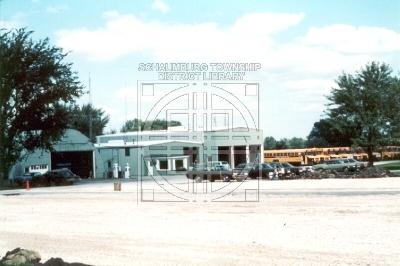 The 40-acre property was purchased from District 211 and the building begun in the fall of 1965. 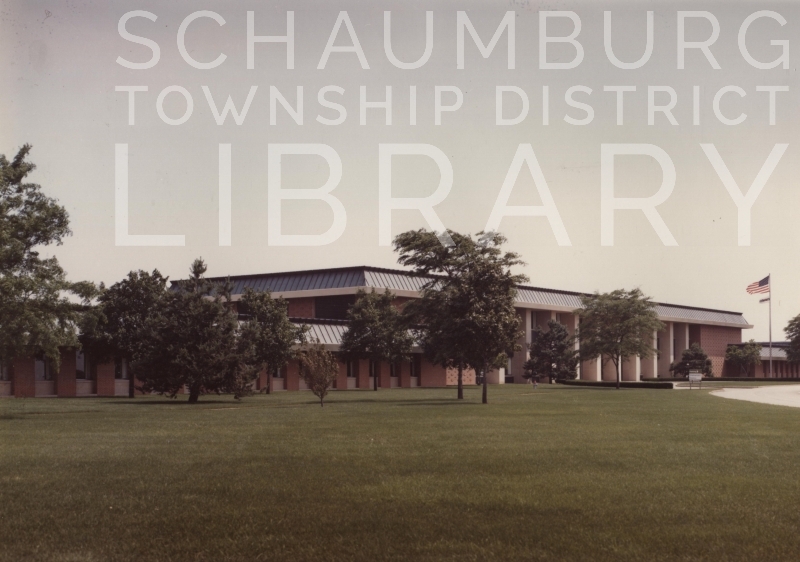 The village of Schaumburg was not scheduled to take the department over from Roselle until 1967 when it had both the budgeted funds and had set up the structure of its own district. A builder announced plans to begin a new subdivision in the village. Frederickson and Co. was planning a 300-400 development on the 160-acre site immediately south of Lexington Fields, between Route 53 and Meacham Road. 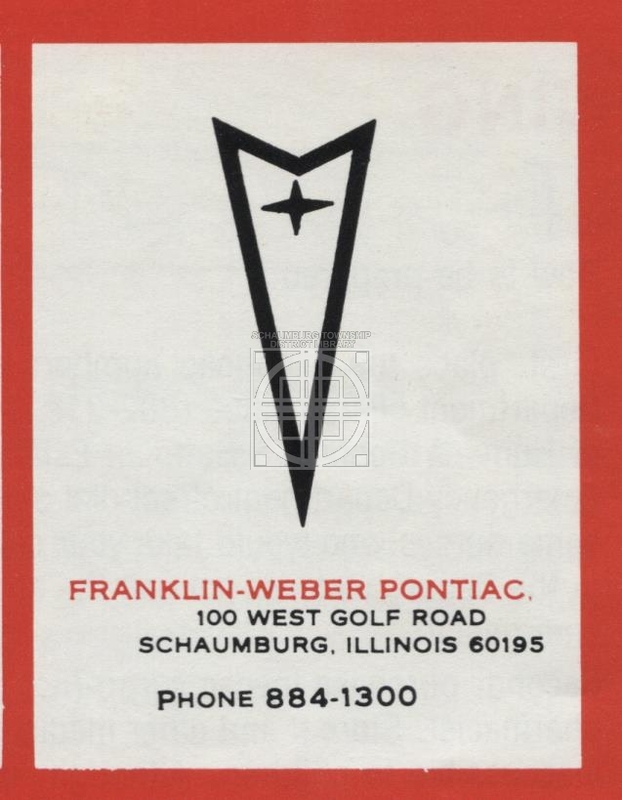 Franklin Weber Pontiac at 100 W. Golf Road sponsored their “Price Chopping Sale” on their Grand Prix, Catalina and Le Mans models–to name a few. They mentioned in their ad that they were open on Sundays. The Schaumburg Township Public Library was looking for interested parties, 16 and older, to join a new Game Club. Potential games to be played were backgammon, chess, Scrabble, bridge and others. Village trustee, Carl Niemann, and fellow members of the Community Planning and Development Committee, asked village planners to inventory the historic structures in the Olde Schaumburg Centre district and make a plan for saving them. The intent was to avoid destruction of historic buildings such as the old Schaumburg bank that had been moved from the northeast corner of Schaumburg and Roselle Road to a Town Square location along Roselle Road. It was torn down in 1982. Village officials decided to put aside their plan to funnel traffic from Schaumburg High School to Braintree Drive and instead pursue the installation of a traffic signal at Grand Central Lane. Cook County had been reluctant in the past because the traffic counts did not warrant a light. Fretter Superstores, at 820 E. Golf Road near Woodfield, had an “Everything on Sale” sale. [Fretter was very similar to Polk Bros. in that they sold appliances and electronics. 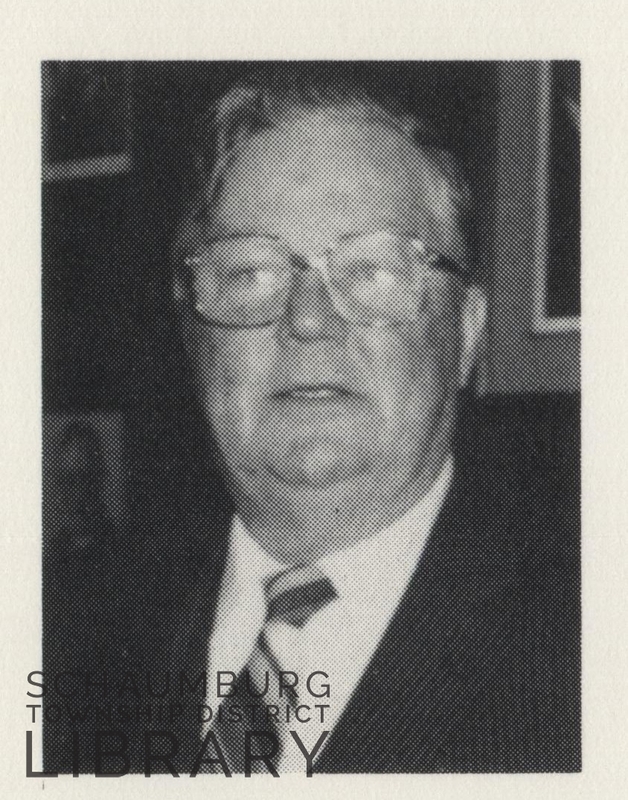 Martin Conroy, Schaumburg’s first Police Chief, died on July 21, 1996 at his home in Florida. Mr. Conroy was appointed chief of police on March 15, 1960 and served in that role until his retirement in 1981. The village announced that they would be hiring a part-time employee to oversee operations at the Schaumburg Regional Airport nearly eight months after it opened. The employee would deal with the administration of the airport as well as working with the operating company who were soon to be hired. Northwest Flyers and Saxon Aviation were operation companies being considered. It was announced that Maggiano’s Little Italy was considering its second suburban location in Schaumburg. Sam & Harry’s, a steak chain based in Washington, D.C., opened its first Illinois location in the Renaissance Schaumburg Hotel and Convention Center. They specialize in surf ‘n turf dishes. Woodfield Mall was the number one tourist destination in Illinois–over Sears Tower, over Navy Pier, over Lincoln’s Home and over the Shedd Aquarium. Between four and five million visitors came annually to take in the shopping and restaurants. The village held an open house for the public at the new Renaissance Schaumburg Hotel and Convention Center on Saturday, July 29. Guided tours were offered every 30 minutes from the front entrance.